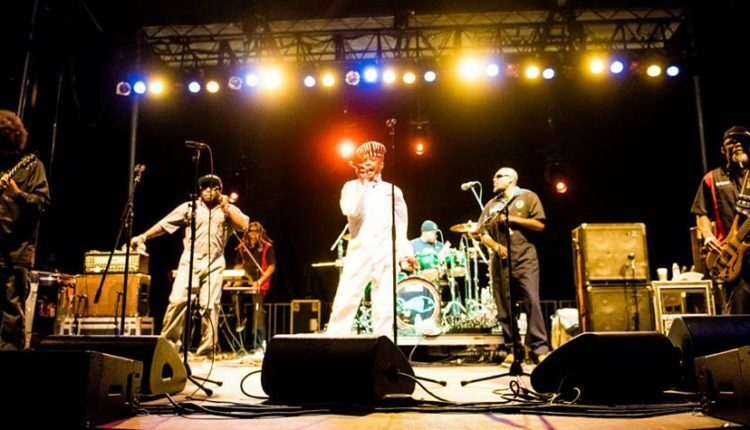 Los Angeles based ska/funk soul-rock band, Fishbone, is making a pit stop in Syracuse to perform at the Westcott Theater on May 6 with Brett Wilson and Street Rock Mafia. Fishbone has been pioneering the music world since 1979 with their own brand of sound, mixing all genres including ska, funk, rock, blues, soul, and R&B. The group is an international act that tours across the world as much as they do in the the USA. Currently, they are on a 20-date tour across this great nation with shows in NYC at the Rock & Roll Resort, two nights at the Brooklyn Bowl, and an evening at Nectars in Burlington, VT, before heading back to the west coast to finish off the tour. Show attendees can also be sure to hear a few songs from their latest EP titled, Intrinsically Intertwined, that was released last year. Fishbone hits the stage in Syracuse around 10pm after being accompanied by Brett Wilson and Street Rock Mafia. Brett Wilson is a singer/songwriter from New Hampshire who has established himself as the lead vocalist for the reggae band, Roots of Creation. Now taking on the world as a soloist, Brett will make a few appearances on this tour opening for Fishbone. Street Rock Mafia is local from Utica, NY and has recently released their first EP called Music is Life. With a full house at Gordon’s Tap Room (Utica) last saturday, S.R.M. threw one heck of a party to display their hard work, inviting guests artists such as Sam Kininger on Saxaphone and SAMMY award-winning Nineball, among other local bands. Music is Life is a five song EP packed with trembling rock riffs, funky grooves, and smooth flowing hip-hop lyrics. For more information, visit the sites below. Owner of Jim Houle Photography and HOO Productions of Syracuse, NY. Lighting Designer, Photographer, Musician and Outdoor enthusiast.